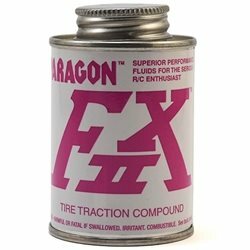 Paragon FX II Tire Traction Compound softens rubber tires to provide maximum traction. You apply this fluid to your tires before a race and can be used on carpet, asphalt, concrete, and even dirt ovals. 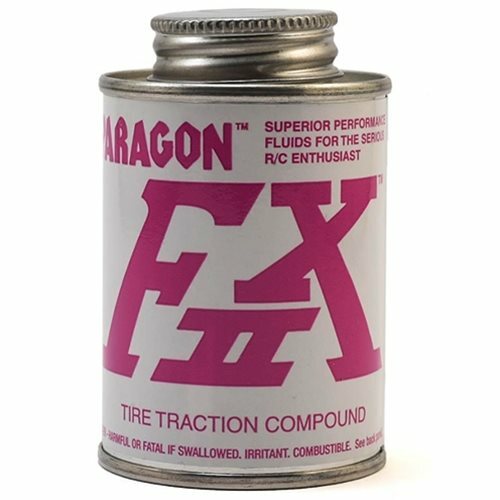 Paragon FX-II tire traction compound is similar to Paragon's Ground Effects product except that it has more bite and less odor. Package includes one four ounce bottle. Tip: Let FX II soak in as long as possible prior to your first race of the day. To enhance penetration, massage into the tires.